Beyond Boundaries is a crime documentary that exposes the abuse of power that runs rampant throughout corporate circles. 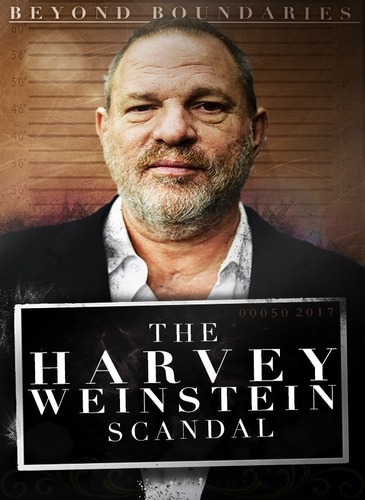 The Harvey Weinstein Scandal examines the rise and fall of Hollywood media mogul Harvey Weinstein and others in power. Beyond Boundaries explores the milestones from Weinstein’s life; his upbringing, his relationships, and the rise to mega stardom. Covering the creation and many successes of Miramax and The Weinstein Company. On October 4, 2017, a New York Times article lit the spark detailing the personal stories of sexual assault victims of Harvey Weinstein. Now that spark has become ablaze, shedding light on the decades of abuse by Weinstein and other dominant figures. We take a deep look inside a toxic culture without checks and balances.